This passage tells us that God has given eternal life is in His Son, Jesus Christ. In other words, the way to possess eternal life is to possess God’s Son. The question is, how can a person have the Son of God? According to Romans 5:8, God demonstrated His love for us through the death of His Son. Why did Christ have to die for us? Because Scripture declares all men to be sinful. To “sin” means to miss the mark. The Bible declares “all have sinned and fall short of the glory (the perfect holiness) of God” (Romans 3:23). In other words, our sin separates us from God who is perfect holiness (righteousness and justice) and God must therefore judge sinful man. This single condition God requires to receive eternal life is belief in Jesus Christ. 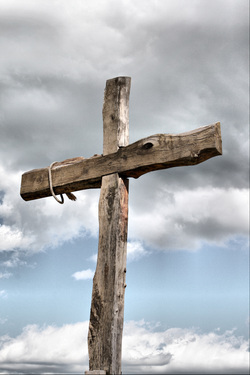 Jesus Christ died for our sins and then rose from the dead. His resurrection proves He has the power to give everlasting life to everyone who will believe in Him. That is way each of us must come to God: in simple faith that He will do what He promised. Christ alone by faith alone for salvation. If you have just trusted in Christ, you need to learn about your new life and how to walk with the Lord. May we suggest you start by studying through the ABCs for Christian Growth available online at www.bible.org. This series will take you step-by-step through some basic truths of God’s Word and will help you build a solid foundation for your faith in Christ. Please contact us at Trego Community Church if you have recently accepted Christ as Savior. God commands that His followers meet together on a regular basis.